Soaps might seem too frivolous a detail to worry about, but it’s not something you can take for granted. They can cause undoable damage and have ripple effects that do not meet the eye until it turns out to be a big issue, later. 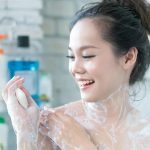 So, you need to use soaps that are meant for your skin type, particularly if you are the kind that uses soap on your face in the shower (which is the most of us), and don’t reach out for a face wash. We’ve put together some of the best soaps that are available right now and what they do. Let’s go ahead and find out what they really are! 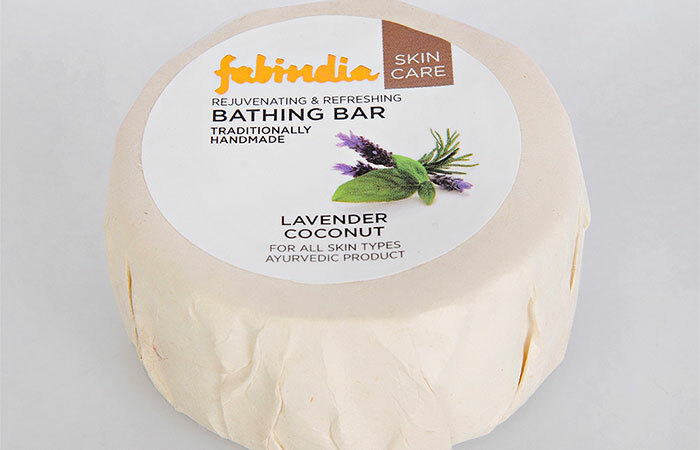 Fab India has launched a fantastic line of soaps that are exotic, calming and refreshing too. Plus, they all smell great too. It’s pretty hard to narrow down to one from the lot. But if I had to choose, it would be the lavender and coconut bar which is by far my favorite. Coconut is extremely hydrating and nourishing while lavender smells great and is relaxing too. It‘s smooth on the skin and leaves your skin silky after every wash. You will look forward to your morning showers for sure! Kama Ayurveda is a big name in the skin and hair care industry. All their products are natural and based on our age-old Ayurveda that has time and again proved to be the ultimatum for any ailments. These products are chemical-free and thus are not harsh on the skin. 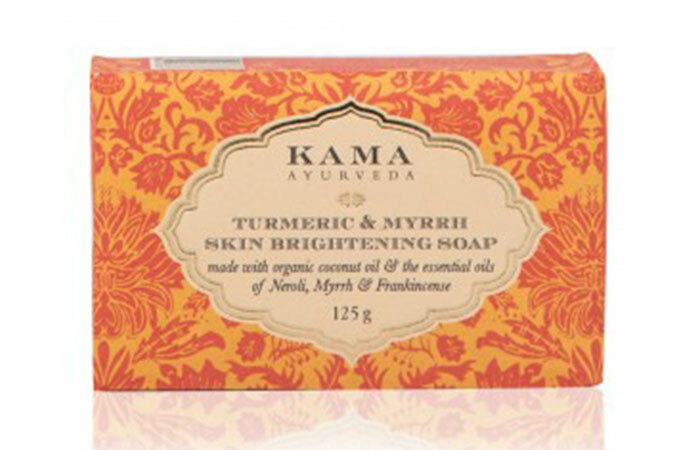 The Kama Ayurveda Turmeric and Myrrh Skin soaps are made with turmeric which is antibacterial, antiseptic. It also helps with pigmentation containing essential oils like neroli, myrrh, and frankincense as the base. It also contains organic cold pressed virgin coconut oil, beeswax, extracts from figs to relax your senses and help with skin cells regeneration. 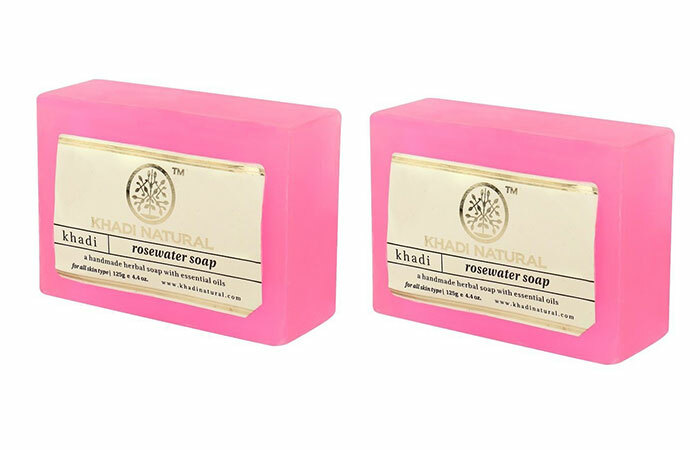 Khadi is known for their handmade, natural and organic soaps. And, the USP for this one is the sweet rose smell that lasts for quite a few hours. The sandalwood in the soap works as an antiseptic and a coolant while keeping any infections at bay, while glycerin helps to keep it smooth and silky. The heavenly blend of mojri, rose, sandal and strawberry relax and calm your mind and body, especially after a day’s long work. Forest Essentials hits a sweet spot between natural and modern aesthetics. 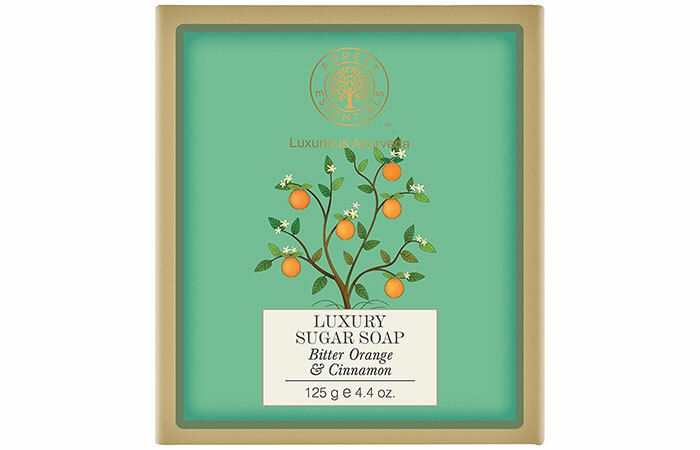 It’s a refreshing take on fragrance with a distinct mix of bitter orange with warm cinnamon to stimulate your sense and leaving it enriched. The soap has a surprise ingredient, pure cane sugar and has no glycerin which is very unusual. It also contains other cold pressed oils, fruits, and vegetables which are all organic and quintessential nutrients for your skin. 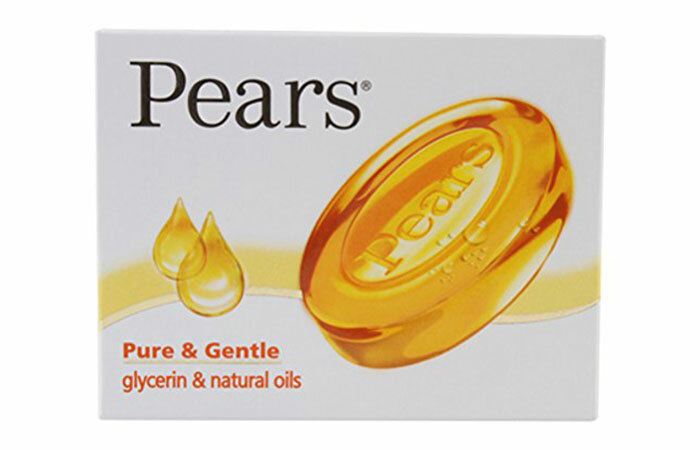 Pears Pure And Gentle Bar is what most of us grew up on in India. It is made just with glycerin and natural oils that effectively moisturize your skin and keeps it smooth, soft and supple. It is gentle on the skin and perfect for winters because it keeps your skin from breaking out. 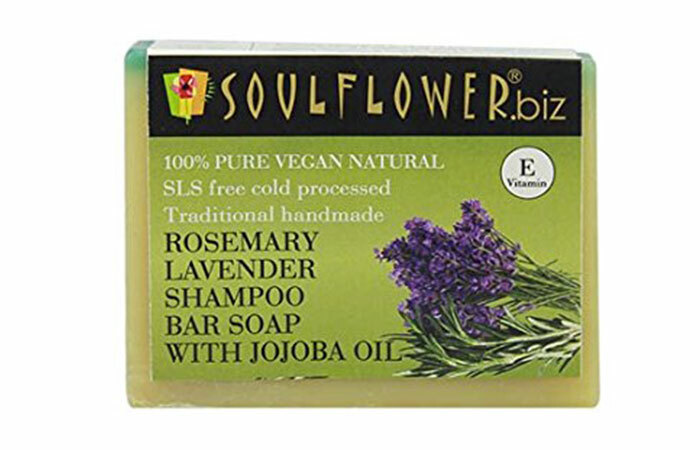 Soulflower is a 100% vegan brand that makes hair and skin care products from natural ingredients. This product from Soulflower is made with pure tea tree extracts, which has healing qualities and is one of best antibacterial/antiseptic ingredient available to man. It has other ingredients like basil leaves that work on your pores and blackheads; olive oil is hydrating while castor oil moisturizes. It is multipurpose and has an exhilarating and zesty smell that relaxes your body after a hot shower. Vaadi Herbals makes herbal and chemical-free cosmetic products that are highly effective and potent. 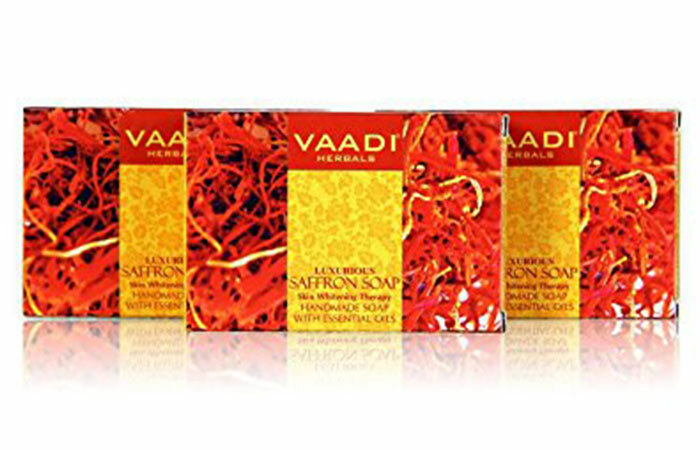 This soap is loaded with the goodness of saffron and goat milk that specifically works on pigmented or damaged skin, and helps with skin whitening. It deeply cleanses your skin and keeps you fresh for the day. 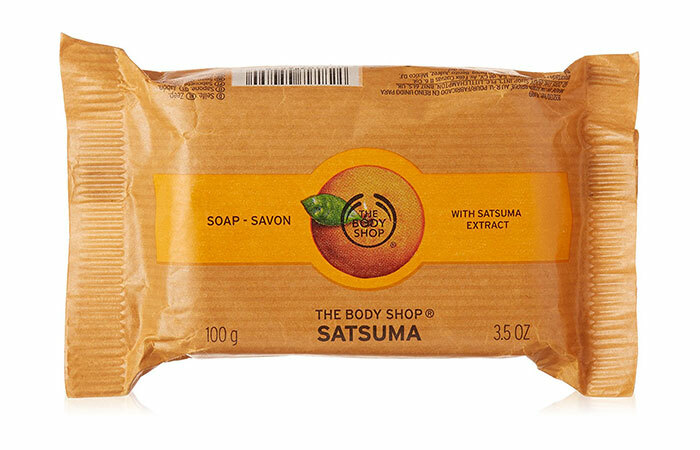 Another bestseller from The Body Shop, and you won’t go back to another soap once you start using this one. 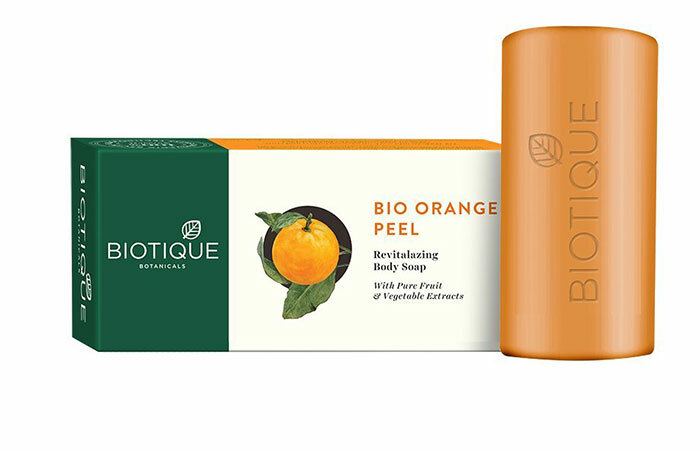 It is a refreshing blend of citrus and Satsuma seed oil that deeply cleanses your skin, and leaves you feeling fresh! Nyassa is a brand that is always recreating cosmetic products with pure and natural ingredients and is very different from everything else you see otherwise. 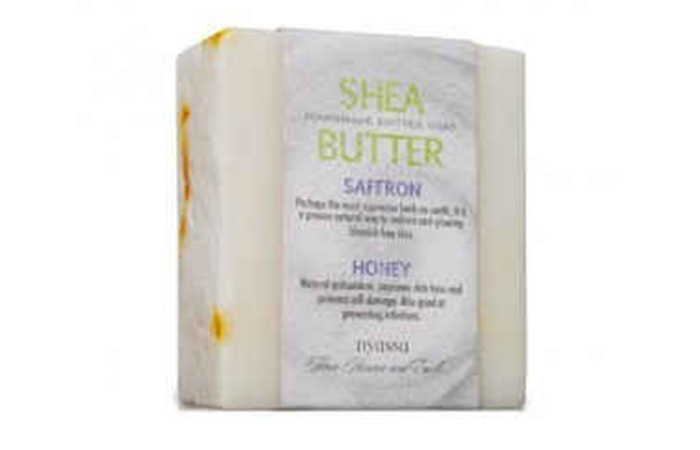 This shea butter soap is made with ‘active base’ and a unique blend of six essential and carrier oils which are constant in all of their soaps. It contains extracts from honey, grapeseed, aloe vera; cold pressed almond and wheatgerm oils and Vitamin E—all of which are excellent healing and moisturizing agents. Apart from this, it has saffron that works on blemishes and honey which is an antioxidant. I don’t think soaps can get better than this. 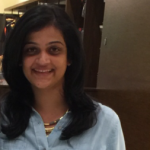 Biotique uses ancient ayurvedic recipes and combines it with their cutting-edge Swiss technology to make natural cosmetic products. This soap is made with peel and oil of pure oranges, musk root, turmeric, soap nut, walnut and margosa all of which deeply cleanses your skin from deep within. So that was our list. What is yours? And, what are your favorites? Let us know by dropping in a text in the comment section below. How do I choose the right bathing soap? For starters, it is important to know your skin type. For dry skin, you need soaps that contain aloe vera, shea, avocado or cocoa butter, natural vegetable oils or fatty acids that keep your skin hydrated and retain moisture. With oily skin you need soaps that are soothing and antibacterial because it’s more prone to acne and infections; so soaps with essential oils like tea tree, lavender, chamomile or herbs like thyme, rosemary, etc. are ideal. And, if you have sensitive skin, use soaps that are loaded with multi-vitamins especially Vitamin E.
Is it harmful to use different soaps on the skin? Not using the right soap is not exactly harmful, but can dry out your skin. Sometimes soaps drastically increase the pH value of your skin and might create problems for sensitive and itchy skin.